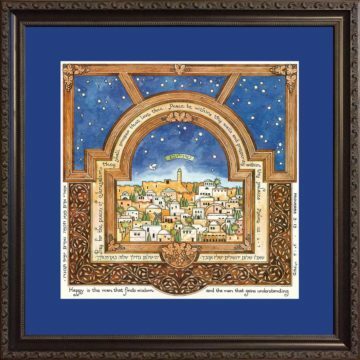 The Home Blessing Jerusalem Art Print by Mickie Caspi is a classic work of Judaica. “May this home be blessed with peace and tranquility” is elegantly calligraphed in gold foil. In this Jewish Framed Print Home Blessing, Jerusalem is beautifully recreated in detail. 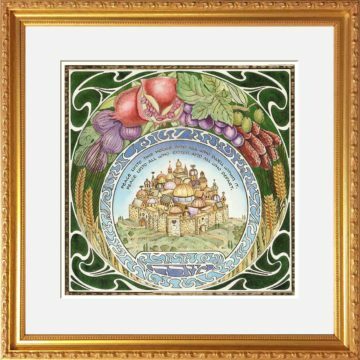 This stunning illumination features an arch surrounding the city of Jerusalem emblazoned with the biblical seven species of the Land of Israel: wheat, barley, grapes, olives, figs, dates & pomegranates. 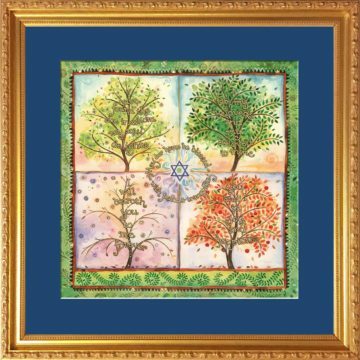 The Home Blessing Jerusalem is a wonderful hostess gift. 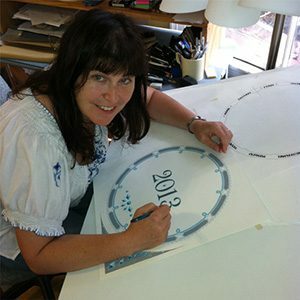 It is also perfect as a housewarming or new home gift. Or a stunning present for weddings, engagements or anniversaries. 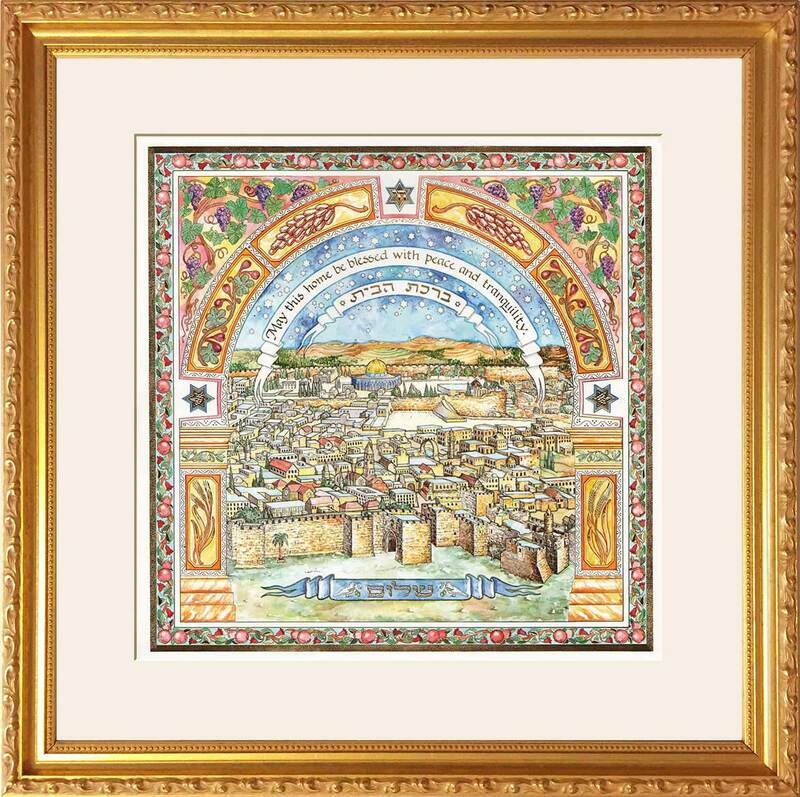 Available with Gold Frame and Alabaster Mat, the Home Blessing Jerusalem Framed Art Print by Mickie is expertly framed and includes the mat, back dust cover, wire hanger and even a hook & nail for your convenience.